Parents - here is a great giveaway for a darling gift for your little one - an heirloom rocker with your choice of animal - horse, gorilla, elephant, rhino, or giraffe! There is something so classic and timeless about a rocking horse. They are an iconic symbol of childhood that people of all generations can relate to. Whether it’s sitting in a nursery or getting plenty of use in the playroom, a rocking horse can add a certain esthetic to the room. 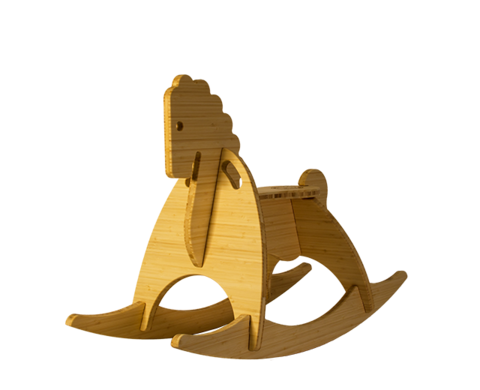 Wee Rock Toy Co. has put a new spin on the classic rocking horse by making them sustainably in a convenient new design. Catherine O’Sullivan and Michael Galea, founders of Wee Rock Toy Co., used their architectural training to create a classic rocking horse that has only six pieces, allowing them to be shipped flat and assembled with no tools, no glue and no hardware! These unique rockers are crafted from bamboo plywood – an ultra high quality, renewable and child-safe material. Unlike most plywood, the bamboo plywood used by Wee Rock Toy Co. uses a soy-based adhesive that emits zero VOCs and is a responsibly sourced renewable material. The bamboo parts are simply finished with a food-grade butcher-block conditioner. A huge bonus – all of these toys are cut, finished and packaged in the United States! In addition to being sustainably made in the USA, the Wee Rock Toy Co. rockers are adorable, and currently available in five designs, including a classic horse, gorilla, elephant, rhino and giraffe. 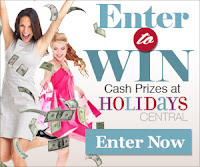 See the designs here. I would probably pick the elephant! They are all so cute! I like the giraffe also, but I'd have to pick the elephant. It's the cutest. I love the Rocking Gorilla! I like the fact that Wee Rock Toys are made in America. I am impressed that the architects designed the toys to be assembled without tools, hardware or glue. I love the fact that the toys are made from all natural bamboo plywood.